Most leaders think their followers put vision or communication or problem solving skills first. Of course, all of those attributes are important, but what difference do they make if you are not trusted? Does it matter what vision you provide if there is little trust that it’s best for all? Does it matter how well you communicate if what is said can’t be trusted? Does it matter how charismatic you are if only a handful are willing to follow you? 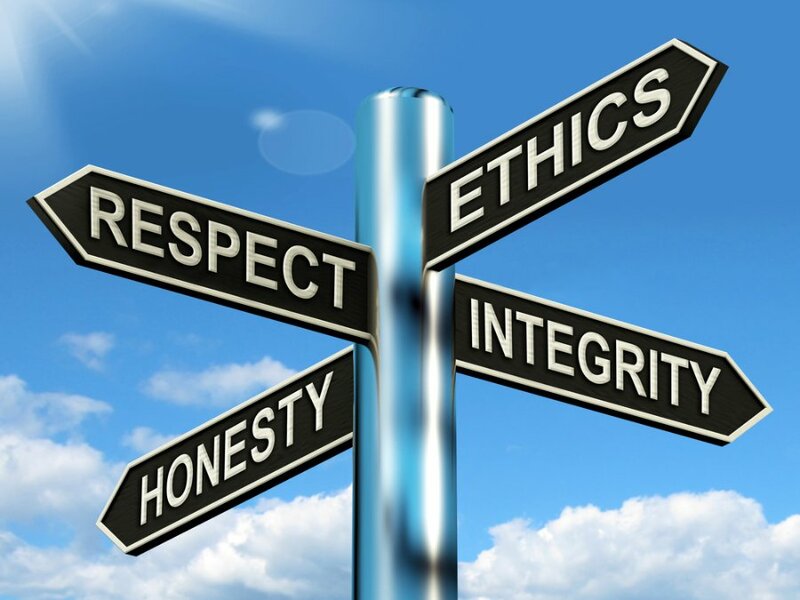 Integrity gets lost…one degree of dishonesty at a time. There are no varying degrees of integrity. A leader is judged to have integrity or not based on what is seen. Minor lies can become a major problem. As minor as lies may seem, employees do not forget integrity mistakes. 1. Keep your promises. You don’t have to promise things just to make employees feel good. They are more interested in being able to depend on what you promise than in feeling good. Just keep the promises you do make and trust will follow. 2. Speak out for what you think is important. Employees can’t read your mind. If employees have to guess how you feel about something, they may guess wrong. Tell them how you feel and why. This builds respect. 3. Error on the side of fairness. Be fair to all. Things are not always clearly right or wrong. Sometimes you have to make difficult decisions that affect many people. Sometimes those decisions include having to de-hire some employees. Be fair at all times – regardless of the type or decisions you have to make. It all starts with integrity. Your employees will follow only if you have earned their trust! The problem of having integrity and trustworthiness in leadership is that there are some leaders who grossly compromise this trust yet continue to portray themselves as being honest and trustworthy. So if one lives a life of lies and falsehoods then many followers and believers have been deceived and betrayed and the whole organization becomes weaker in integrity and trust from that deception. Customers will begin to look elsewhere for their product or service needs. To build a good leadership attitude in our personality, we should take preventive steps and following effective tips. Leadership is not an attitude that, we gain overnight. It requires a huge dedication, creative skills, and effective thoughts. Apart from these, we should also following these instructions that present in this article. Thanks for such wonderful tips.